Help your child develop Creative Thinking Skills by thinking about special things. When children, even as young as kindergarten, learn to think creatively, they also develop self-esteem. My Own Book of Special Things, by Linda Silbert, PhD and Al Silbert, EdD, is 1 of 7 in their Creative Thinking Workbooks series. This delightful Creative Thinking Workbook lets kids think about extremes, something most kids love to do. Imagine the fun they have saying what they think are the tallest, fastest, scariest, smelliest things in the world. They're having a good time while building creative thinking, self-expression, and self-esteem. 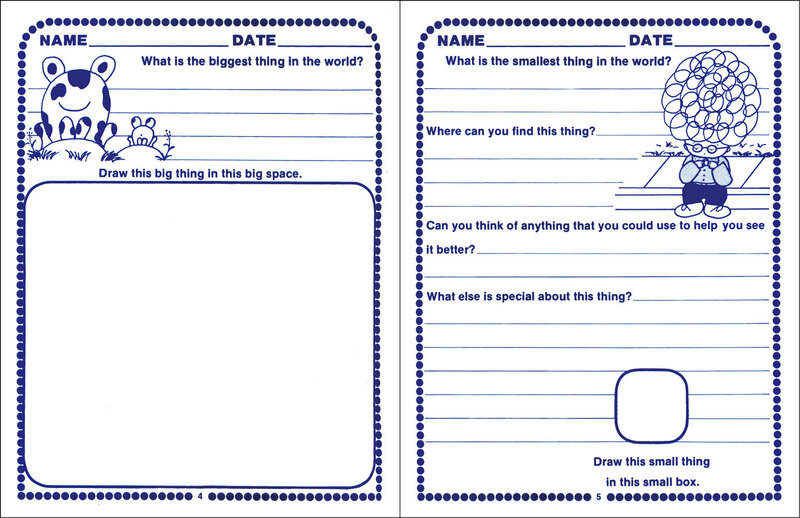 My Own Book of Special Things gives kids lots of opportunities for writing and drawing. Plus answering the questions helps build their communication skills. Kids can write, draw, and color on every page. The high quality paper used in the book makes it easy to use, even to erase. Children love these books filled with activities that let them share their thoughts without judgment. Parents and teachers use this fun resource to encourage self-expression. Parents can use these books at home and teachers with all the kids in your class. My Own Book of Special Things can also be used with kids with learning disabilities such as dyslexia (reading disorder), dysgraphia (writing disorder), ADHD, and Autism. quietest thing in the world? biggest thing in the world? smelliest thing in the world? scariest thing in the world? stickiest thing in the world? 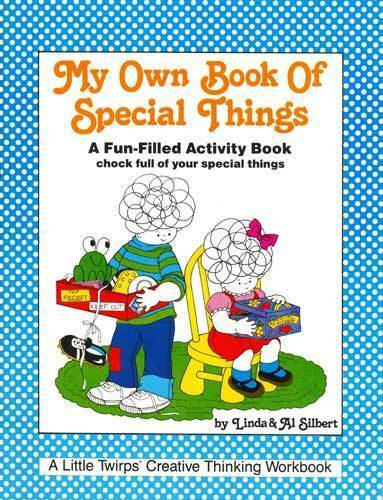 Pick up "My Own Book of Special Things" for your kids today. Ages: 5-9 Reading Level: 1.0 to 2.0 Publisher: Silbert & Bress Publications, a Division of Strong Learning, Inc. ISBN:978-0-89544-019-8 Soft cover: 32 pp Dimensions: 8 1/2" x 11"